Happy Friday, friends! I’m so glad you enjoyed my Bobbi Brown outing as much as I did…what a treat to see all of your responses! I’m getting the feeling you’d like a little more beauty news here, so I promise to do my best to deliver. 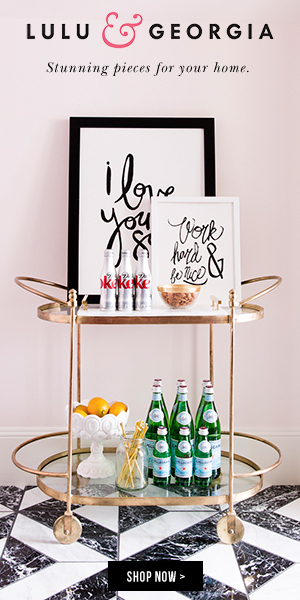 In the meantime, though, it’s Friday…and I am pretty in love with my list of finds this week. They’re all simple classics, just slightly updated…in other words, precisely my cup of tea. I could buy each and every one, and they’d feel perfectly at home in my closet. Speaking of beauty buys, this pale gold Giorgio Armani eye pencil (brand spanking new for spring) has risen to the top of my favorite products of late. The subtle shimmer is perfect for day, and the color is light enough that absolutely no precision is required. In fact, I’ve been just drawing a thick-ish line and foregoing shadow altogether. It also does amazing things for green/hazel eyes. I know, I know…more striped tees. I’m nearing total saturation too. 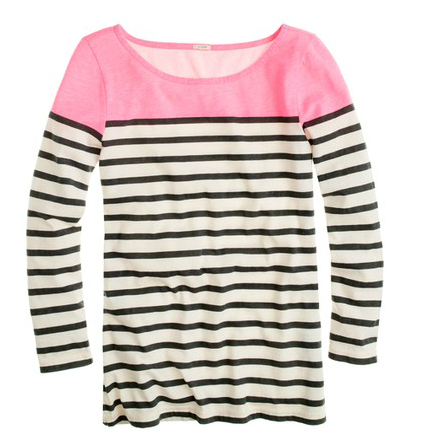 But I’m kind of feeling the jolt of pink in this J.Crew colorblock stripe tee, and I’m envisioning it being every bit as useful as the traditional version, but certainly more interesting. The neon yellow version could be fun too, if you’re into that sort of thing. Linen tees are an old favorite of mine. If you can find one that’s sufficiently nubby, they’re more breathable (and no more wrinkle-prone) than your favorite cotton version, but somehow totally office-appropriate. 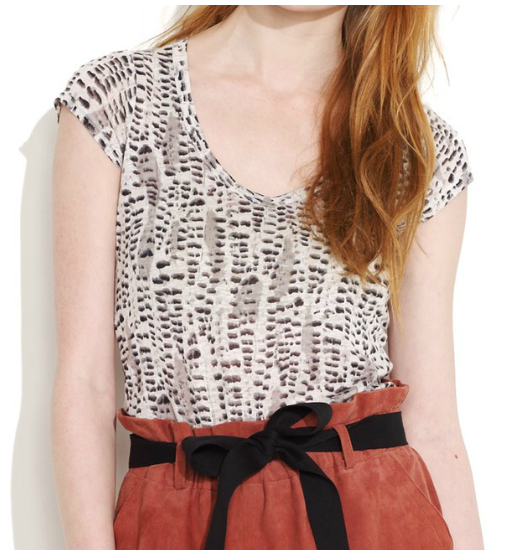 Madewell just launched a few new solids and this Cloudbreak print, with which I’m smitten. I made a fatal wardrobe error last year, and purchased a “steal” when I should have gone for the “splurge”. My French Connection trench just isn’t pulling its weight, no matter how hard I try. Burberry was the obvious upgrade…until I spotted this Kate Spade Topliner Trench, from their Florence Broadhurst collection. Check out that lining! Who needs plaid? Most coveted item of spring, my friends. Sometimes, I think people are shocked when they meet me on the street and hear I’m a fashion writer. My style is far less ambitious in real life than you might hope. 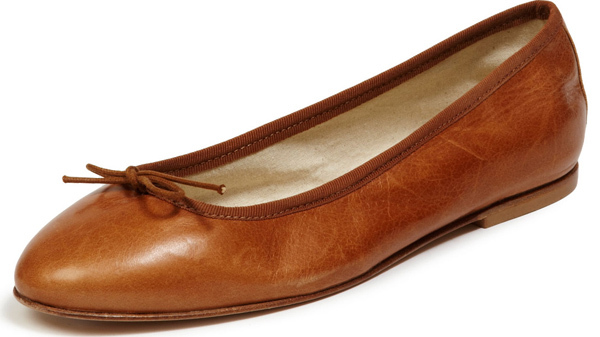 These Anniel ballerina flats, for example, are as simple and unassuming as they come, but I have not a doubt I’d wear them to death. Have a wonderful weekend, friends! I’ll be playing around with some Bobbi Brown goodies, indulging in the Sunday New York Times subscription my hubs surprised me with recently, and house-hunting (my least favorite kind of cardio). I hope you have something fun in store. 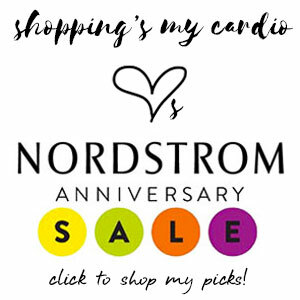 This entry was posted in beauty, friday finds, outerwear, shoes and tagged anniel, giorgio armani beauty, j crew, kate spade, madewell, steven alan on 16 March, 2012 by shoppingsmycardio.